Good hearted hoarders are being urged to declutter to discover hidden treasure stashed in their attic or cupboard. 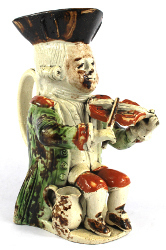 Recently a Toby jug fetched £8,000 at a Wokingham auction. For the first time Hurst Show & Country Fayre, over the weekend of June 23rd and 24th, will feature an Antiques Valuation event on the Sunday. 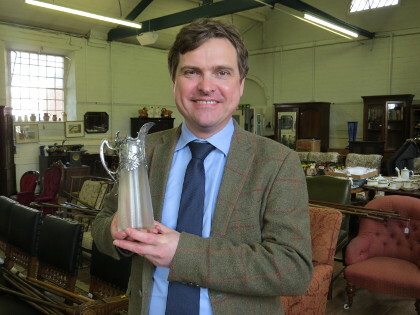 Auctioneers Martin & Pole will give verbal valuations on what items might fetch at auction. Items could include silver, jewellery, pictures, ceramics, works of art, toys, memorabilia and small furniture. Large furniture can be valued from photos. Visitors can have up to two items valued, with the £2 per item charge going into show fundraising. The show points out that security of items brought remains the owners’ responsibility. The show committee cannot accept liability for theft or breakage. Another show first is a local ladies’ ukulele band. Last year the show raised £17,000 for good causes including St Nicholas Primary, Hurst, St Nicholas Pre-School and Hurst guiding and scouting movements. Entries are being taken now for the classic car show via the show website. There will also be a fun dog show, ferret racing, an art show, the chance to bell ring, beer and barbecue tents, local crafts, gifts and foods, and craftspeople at work. Arena events will include falconry, search and rescue dogs, horse dressage, maypole dancing and dog agility with the chance to have a go. Children can enjoy hobby horse jumping (mounts available), pony rides, games, a bouncy castle and face painting. The show is open 10am to 5pm both days. Entrance remains at: adults £4, teens £2, seniors £2. Children 12 and under, Carers with CAN cards and the car park are free.